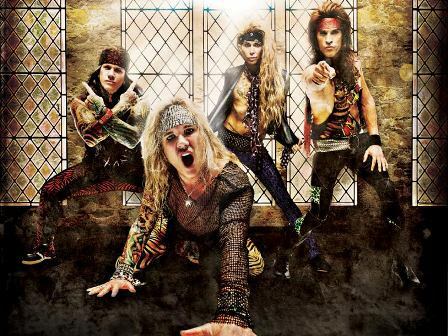 Glam Metal party band Steel Panther have teamed up with Buckcherry and Bowling For Soup for a 2016 UK tour that concludes at Birmingham's Barclaycard Arena on October 19. Kicking off at the SSE Wembley Arena on October 15, the bands also play at Cardiff's Motorpoint Arena on October 16 and Manchester Arena on October 18. 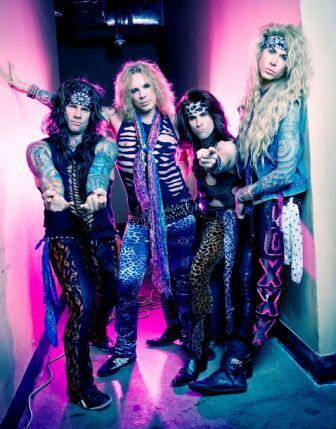 Hailing from Los Angeles, Steel Panther mix hard rock and Glam Metal parody with infectious tunes and comedy lyrics. The line-up of singer Michael Starr, guitarist Satchel, bassist Lexxi Fox and drummer Stix Zadinia had their breakthrough hit in 2009 with the album Feel the Steel which features singles Community Property and Death to All but Metal. Follow-up album, Balls Out, was released in 2011 and Steel Panther were invited to join Def Leppard and Motley Crue on tour, followed by a show in Los Angeles with Guns N' Roses. Sold-out headlining tours in 2012 and 2013, including an appearance on the main stage at the Download festival, confirmed Steel Panther as a force to be reckoned with. There was another world tour in 2014 in support of the album All You Can Eat. 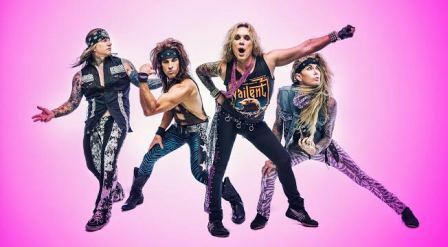 Rolling Stone UK magazine said: "There's a reason Steel Panther have transcended their origins as a covers band playing the Sunset Strip… it's dumb fun, but not as stupid as you think." Their next studio album, Lower the Bar, is set to be released early next year. 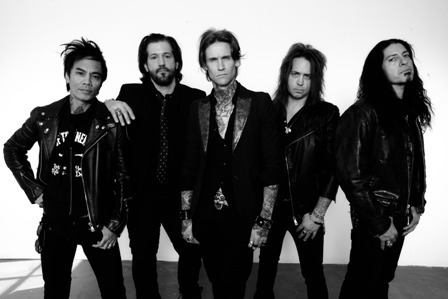 Los Angeles rockers Buckcherry are celebrating their tour with Steel Panther by releasing a deluxe version of their 2015 seventh studio album, Rock 'N' Roll. The quintet of Josh Todd (vocals), Keith Nelson (guitar), Stevie D. (guitar), Xavier Muriel (drums), and Kelly LeMieux (bass) have recently toured America performing their hit album 15 in its entirety to mark the tenth anniversary of its release. Josh Todd says: ''15 was a very special moment in time for this band. A lot of people told us what we 'couldn't do' and all we collectively thought about is what we 'could do' and how big it would be. Success is the best revenge and that is why we brought this entire record to the stage to celebrate the ten year anniversary of 15, one of the coolest rock n' roll comeback stories of all time."